CHITWAN, Nov 5: Madan Baral of Bharatpur Metropolitan City Ward 2 has nearly 1,200 market ready chickens in his farm. He had raised 2,000 broiler chicks in his farm about one and half months ago. Though he managed to sell two consignments at Rs 150 per kg, he is not getting satisfactory price for the remaining chickens. Traders, who procured chickens from Baral, are now offering him only Rs 130 per kg. “How can I sell at such a low price when a chick costs Rs 80 per unit?” wondered Baral, adding that he will face loss if he is not offered Rs 160 per kg. Baral, who entered poultry farming 18 years ago, lament that poultry farmers like him are making losses in the past few years. “Ups and downs in price is a natural phenomenon. But we are staring at bigger losses this year,” he added. The case of another farmer, Shobhakar Bhattarai, is no different. He has more than 500 market ready chickens, while 800 more chickens are growing fast. He bought chicks at Rs 83 per unit. 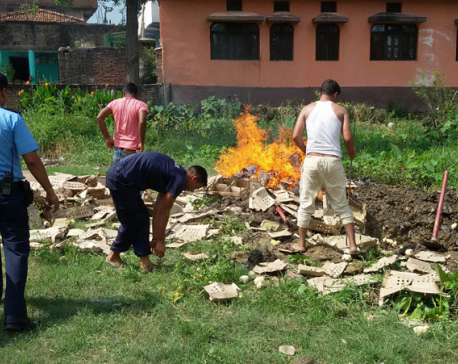 Price of live chicken has come down Rs 130 per kg when chickens in Bhattarai’s farm are ready for market. Though he managed to sell around 300 chickens at Rs 150 per kg in the local market, he is not finding buyers for the remaining fowls. “Local butchers come to us to buy chickens. But they buy only few chickens,” he said, adding that farmers cannot get even production cost by selling chickens at Rs 130 per kg. Broiler chickens get ready for market in 45 days. But many poultry farmers are keeping market ready chickens in their coops in hope of getting reasonable price for their poultry. Price fluctuations would affect farmers in earlier years also. But they used to offset the loss by making profit in the next lot. However, this is not happening these days. According to farmers, they have been making losses continuously in two-three lots. Meanwhile, Nepal Poultry Farmers Association (NPFA) has demanded that the government fix minimum support price for chicken. 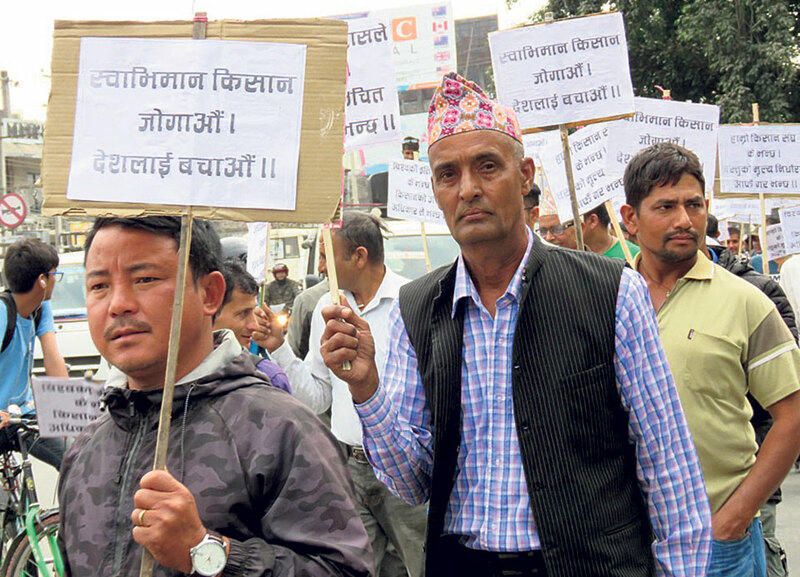 To draw the attention toward its demand, it organized a protest rally in Bharatpur on Sunday. Narayan Dawadi, president of Chitwan Chapter of NPFA, told Republica that poultry farmers have been facing losses due to the compulsion to sell chicken at very low price. “Chicks cost as much as Rs 90 per unit. Price of feed is also becoming costlier with every passing year. But we are being offered very low price for live chickens,” he said. While traders are buying chicken from farmers at Rs 130 per kg, consumers have been paying at least Rs 260 per kg. A difference of whopping Rs 130 per kg shows that middlemen are thriving at the expense of both consumers and farmers. Dawadi also warned of protest if their demand of fixing minimum support price is not addressed. 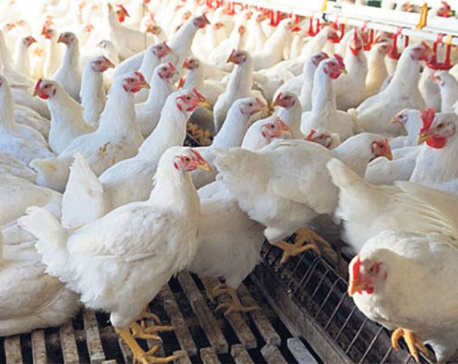 Chitwan has an estimated 15 percent share in production of broiler chicken. The district exports an average of four to five containers of poultry to other districts every day. Nearly 1,400 poultry farmers are associated with NPFA Chitwan Chapter.